My new piece in The Nation! A saga around fracked gas in Maine is one of many examples that demonstrate how our political elites’ now violate the Declaration of Independence when it comes to climate change. The gap between climate justice and climate policy is now so profound that it jeopardizes Americans’ rights to Life, Liberty, and the Pursuit of Happiness. In one of their first official acts, Maine Governor LePage’s new appointees to the three-person Maine Public Utilities Commission (MPUC) board ignored their own staff’s recommendation and approved a LePage-backed plan that would force Mainers to fund dangerous natural gas pipeline expansion. In researching this abuse of power, I concluded that the corruption of Maine’s political leaders has reached a new level of calamity that directly flouts the Declaration of Independence. The gap between climate justice and climate policy is now so profound that it jeopardizes Americans’ rights to Life, Liberty, and the Pursuit of Happiness. In this unprecedented moment in history—when our world teeters on the brink of irreversible global climate catastrophe—it’s time to draw inspiration from our country’s founding document. Manifestations of climate change appeared all around us this year. July was the hottest month in recorded history. More than 60,000 homes were damaged by a 1-in-1,000 year flood in Louisiana. A wildfire in California forced 82,000 people to evacuate their domiciles. The residents of Shishmaref, Alaska voted to relocate as climate-induced sea level rise swallows their homes. Drought dominates the Northeast. Heat waves shockthe East Coast. The Standing Rock Sioux fight desperately to protect their land and history from a 1,172 mile pipeline that would carry up to 570,000 barrels of crude oil daily. A new report concludes that the world is alreadylocked into 1.5C warming—the reddest of red lines for frontline communities and future generations. Now come with me to Maine, where climate change threatens our way of life, and an egregious abuse of power has barely been noticed. Maine is uniquely impacted by climate change. Most of our economy depends on a healthy environment—from our seafood industry (gotta love that Maine lobster) to our farms to our winter businesses. In the age of climate chaos, we can no longer rely on seasons to come with the predictability of days past. Economic viability is threatened. The Gulf of Maine warms faster than 99 percent of the world’s oceans. Lobsters move north to colder waters. Dry summers decimate farms. Ticks dominate our woods. Warm winterspummel snow-dependent businesses. Climate action is an existential necessity for Maine. 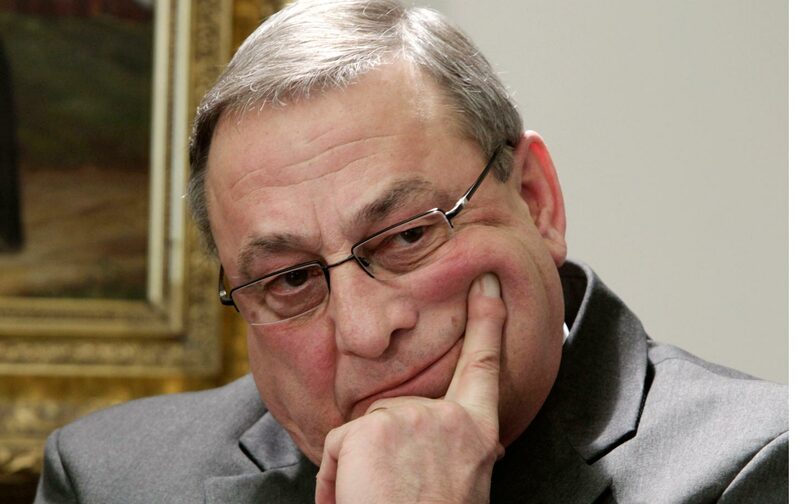 Unfortunately, our Governor, Paul LePage, could not care less. He deniesclimate change. He was the first incumbent governor added to the League of Conservation Voters’ “Dirty Dozen” list for his deeply anti-environment and anti-climate agenda. He vetoed a study on climate change adaptation for Maine. He vetoed one of the most progressive solar bills in the country. I could fill pages with more examples. Most recently, Governor LePage wielded his power in an attempt to force Maine ratepayers to fund natural gas pipeline expansion. This sounds outlandish, but it is a true, complex, and ugly story that reveals the blurred lines between industry and government. Worried about rising energy costs, Maine’s legislature passed a bill in 2013—two years into LePage’s administration—that “would prod energy companies to expand the region’s pipeline capacity…The bill directed the PUC to study whether it made sense for ratepayers, through utility contracts, to buy up to 200 million cubic feet of natural gas, at an annual cost of no more than $75 million.” In other words, Maine’s government wanted to thrust the cost (and thus the risk) of pipeline expansion onto Mainers. Never mind the fact that Page ran on abogus tax reduction platform that opportunistically appealed to beleaguered Maine voters. The “pipeline tax” required ratification from all six New England states. The two principal bidders for natural gas supply were Spectra Energy’s Access Northeast proposal and Portland Natural Gas Transmission’s Continent to Coast project. Spectra Energy would not only expand capacity but also attempt to reverse the flow. This means that New England’s natural gas would not come from off-shore wells in Nova Scotia but from Marcellus shale fracking sites in Mid-Atlantic states. Another fact: the Continent to Coast project would utilize TransCanada’s pipelines, the company that tried to build the infamous Keystone XL pipeline. What are the consequences of this proposal? The Conservation Law Foundation calculated that expansion would cost each Mainer about $96 per year for almost twenty years. Mainers would also suffer the health and safety risks of natural gas infrastructure. Malfunctions at a natural gas station in Searsmont shookhomes, produced a jet-engine-like roar, and released gas into the air. A gasleak in Orono caused streets to close. Another gas leak in Augusta forced evacuation of many buildings and was considered so dangerous that even the pro-industry MPUC found it necessary to impose a $307,000 fine on the gas company for safety violations. Pipelines and compressor stations can also explode, threatening hundreds of lives. Impacts in Maine exist alongside consequences for communities on fracking’s frontlines: cancer,asthma, drinking water contamination, earthquakes. Natural gas leaks also release methane, a greenhouse gas twenty times more potent than carbon dioxide, significantly exacerbating climate change. The human error involved in natural gas infrastructure also jeopardizes communities’ well-being. A report from DeSmog Blog exposed “serious problems and lawbreaking” during the construction of one of Spectra’s pipelines. Although Governor LePage championed the pipeline tax, the Maine Public Utilities Commission retained authority to approve or reject the proposal. The MPUC commissioned three reports, all of which confirmed the unnecessary risk of pipeline expansion. In June 2016, the MPUC’s own staff concluded that expansion is “not in the public interest” and “not reasonably likely to be cost-beneficial.” Although non-binding, the MPUC staff report was expected to influence the three commissioners’ final vote. In July 2016, the MPUC commissioners defied their own staff, the reports of independent experts, and any consideration of the public well-being to approve the pipeline tax. Thankfully, the Massachusetts Supreme Judicial Court recently ruled the pipeline tax “invalid” because it would “reexpose ratepayers to the types of financial risks from which the Legislature sought to protect them.” This means that neither Massachusetts nor any other New England state can force ratepayers to fund pipeline expansion. Still, Maine’s government approved this outrageous plan and still has the option toexpand capacity through the Continent to Coast project without the pipeline tax. The fight is not over. A line has been crossed. This Maine saga is one of many examples that demonstrate how our political elites’ behavior jeopardizes Americans’ rights to Life, Liberty, and the Pursuit of Happiness. In Maine, lives are at risk as dangerous fossil fuel infrastructure continues to grow. Our liberties shrink as our Governor and his appointed MPUC commissioners attempt to exploit the state for the sake of the natural gas industry. The Pursuit of Happiness is undermined for Mainers whose livelihoods collapse in a climate changed world. These fundamental rights are not only threatened in Maine; they are at risk across the country and around the world. Four hundred thousand peoplelose their lives to climate change every year. Countless more are threatened by natural disasters to come, fossil fuel infrastructure explosions, oil train derailment, pipeline leaks. The liberties of communities like the Standing Rock Sioux and the Shishmaref in Alaska are already limited as they are forced to fight desperately for their homes or abandon them altogether. The Pursuit of Happiness is threatened for families who face the first and worst impacts of a warming planet and for future generations, who may be doomed to survive, but never thrive, on Planet Earth. When it comes to climate change, the inaction of our political elites represents the “long train of abuses” that our Declaration of Independence warned us about. Our leaders jeopardize the well-being of every human being and living creature in American and on this planet. What to do? I am skeptical of our ability to hold leaders accountable with traditional activist methods: birddogging, protests, and mass demonstrations. These strategies pushed President Obama only so far. We stopped the Keystone XL pipeline, but we still fight countless other infrastructure projects. The natural gas industry has flourished under his watch. With Hillary Clinton’s pro-fracking commitments, I doubt we can push her to accept the mantle of climate leadership in time to avoid the worst climate impacts. She recently recruited pro-fracking former Senator Ken Salazar to lead her transition team. Nor is anarchy a solution. We need government, because political change impels systems change that mitigates climate change. Moreover, the timeline of physics prevents the possibility of reinventing our political system. As the Declaration states, it is the “Right of the People to alter” our government. We will need creative citizen-led measures like impeachment to stop the power-hungry motives of politicians like Governor LePage. Maybe we rally as never before in support of down-ticket candidates who understand the responsibility of political office and the fight for climate justice. There are millions of Americans who are committed to the power of the vote. Can we use our remaining democratic power to compel political change on the local level, where the people’s voice still maintains some influence? Is there a way for the people to have the final say? The fate of the many is in the hands of the few, who too often abuse their power. We pay the price. Now it’s time for the people to ensure that our voices are stronger than political elites’. They no longer have the “consent of the governed” to threaten what we love. We must “provide new Guards” for our security, safety, and happiness. Thanks for a potent article, reminding us again of that marvelously inspirational document of 7/4/1776. YES! They have lost “consent of the governed,” which was defined in that document as the only criterion for the legitimacy of a government. Therefore, it is not a legitimate government. If we all internalized that concept and refused to vote for either of the two worst candidates ever for president, and instead voted for Jill Stein or Gary Johnson (preferably the former), we could be on the road to recovery. But that takes courage. Who has enough to follow suit?